We provide comprehensive cancer care. This is a very challenging time for our cancer patients and their families. Therefore, we try our very best to offer assistance in any way we can, addressing not only your medical condition, but also the range of issues that may affect your treatment and well-being. Our highly-skilled medical staff have years of experience in diagnosing and treating a wide range of cancer and cancer-related conditions. 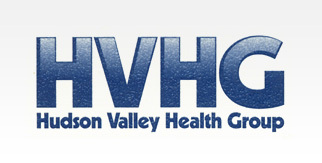 We work very closely with physicians in and out of HVHG to provide our patients with the most thorough, efficient and effective care possible. Especially when you are dealing with chemotherapy treatments, trying to understand insurance and pharmacy coverage can be confusing. Our team is prepared to provide you with a picture of what your coverage allows and search for other, or additional, options to enhance or supplement your coverage. We provide you with information to help you make the most cost effective decision on your treatment cost. To learn more about oncology, please call 845-565-9800 today to schedule a consultation or try our online contact form.